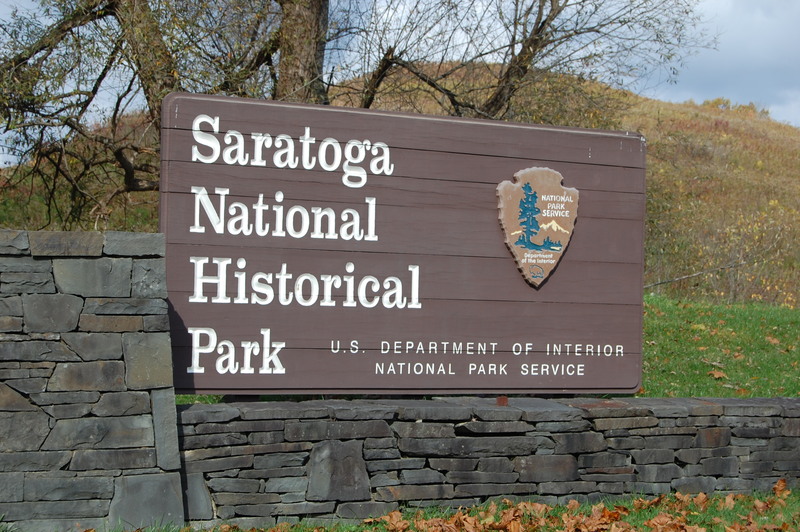 Saratoga National Historic Park & Battlefield - Stillwater & Schulyerville - Take a day trip! 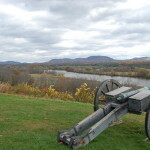 Saratoga National Historic Park and Battlefield represents the site of one of the most crucial engagements of the American War of Independence from Great Britain. It is here that the newly formed American Army won a critical victory over the British that led the eventual recognition of the United States by France who later provided key military aid that led to the decisive defeat of the British at Yorktown. Without this victory it is entirely conceivable that the United States would not have won her independence. This battle must therefore rank up there are a major event in both American and Global History. 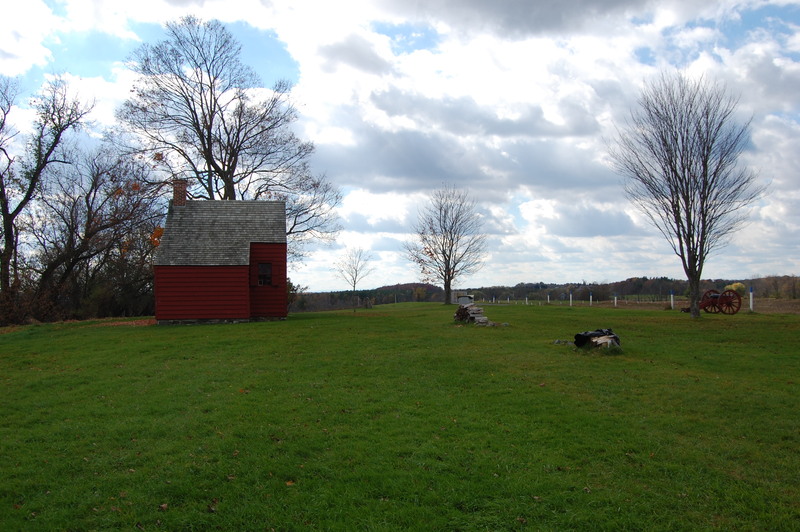 Freeman Farm Overlook: This place was where the opening shots of the first Battle of Saratoga were fired by American rifleman on the advance guard of General Burgoyne’s army. 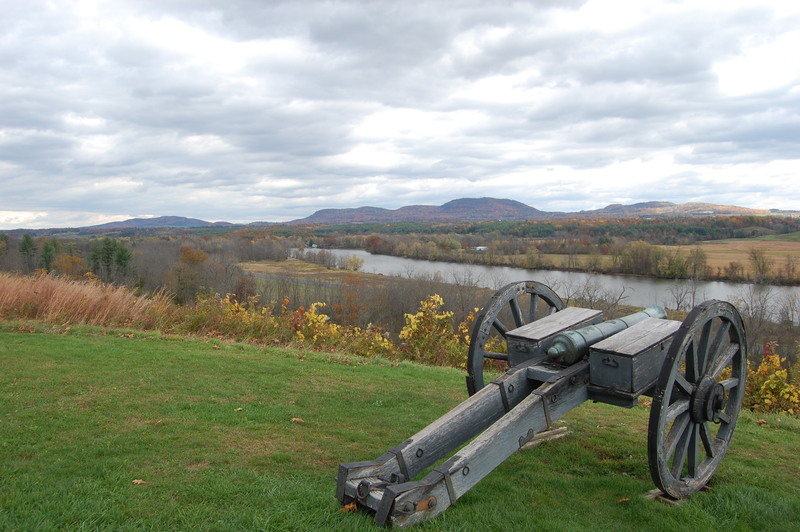 strong points of the American fortifications during the Battle of Saratoga. This location overlooking the Hudson River and main road through the area (roughly where US 4 runs today) provided key cover fire at a main choke point on the Hudson River and it’s road from Canada to New York. Chatfield Farm: This American outpost spotted initial British movement in October of 1777 and fired some of the opening shots of the second part of the Battle of Saratoga. Barber Wheatfield: This was near the location that American troops intercepted a British advance of 1,500 men in an attempt to probe the American Lines. 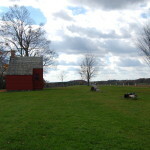 Balcarres Redoubt at Freeman Farm: This was one of the main British strong points, or redoubts, during the Battle of Saratoga. The contours of the original redoubt are outlined by red stakes. 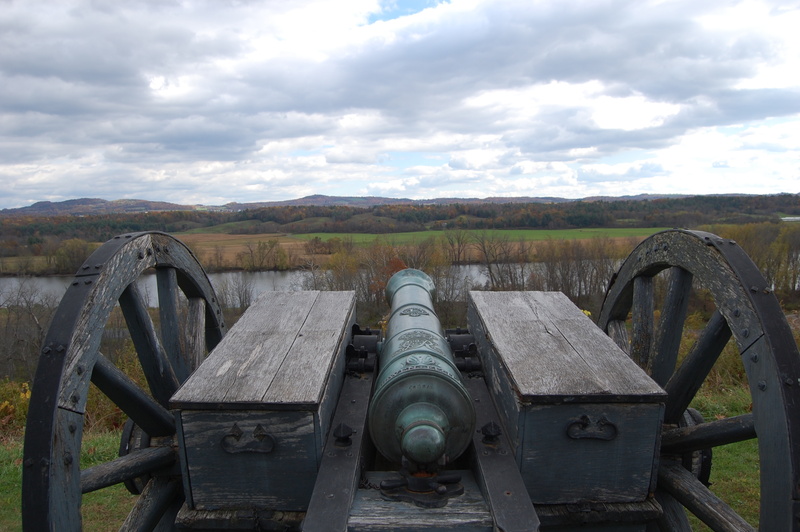 Cannon overlooking the Hudson River. flank. There is also a monument to Benedict Arnold here as he received a wound in the leg when rallying American troops when they went on to capture the British position. General Burgoyne’s Headquarters: A path from this stop leads to the location of the headquarters of General Burgoyne, who led the British Army at Saratoga. The Great Redoubt: This was the strongest of the hilltop forts built by the British overlooking the Hudson River. It guarded several key areas for the British, including their hospital, artillery park, allies, stocks and other key items. General Fraser Burial Site: A trail from this lot goes to the spot where British General Fraser was buried after being mortally wounded. 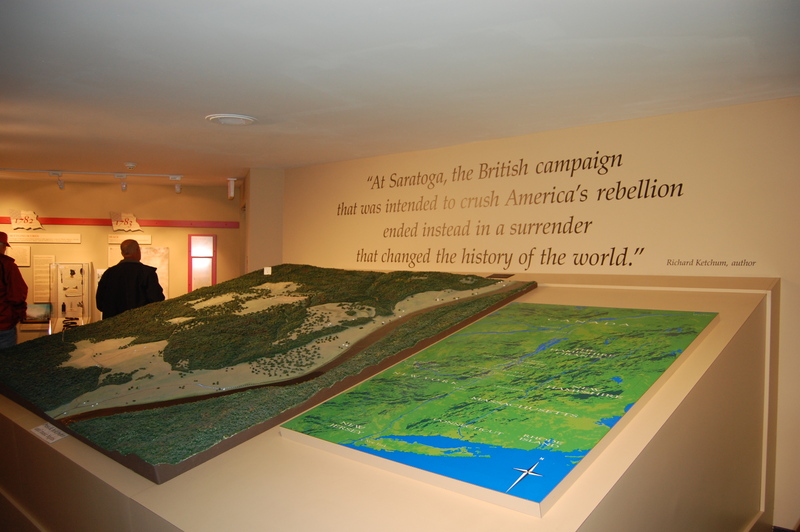 Interpretive Map of the Battle of Saratoga. 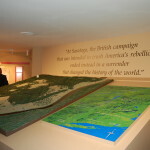 The park also boasts a museum (housed in the visitor center) with a movie about the battle and several information exhibits to start your visit to the park. Saratoga National Historic Park boasts a visitor center with restrooms, an information desk staffed by park rangers, a gift shop and patio with a lovely view of the surrounding area. It is the perfect place to start your visit to the park. Entrance to the auto road section of the park requires paying a fee of $5 per car or $3 per bicycle or hiker. An annual pass to this park is available or to the entire National Park System (the ‘America the Beautiful’ Pass). For more information visit the National Park Service Website. While the park is open year-round, parts of it close for the winter, including the auto road. Visit the park website, email (sara_info@nps.gov or call the park headquarters (518-664-9821 ext. 224 for the information desk) to get a better idea of what is open for your visit. Saratoga NHS has entrances off US Route 4 and NY State Route 32 in Stillwater, NY. 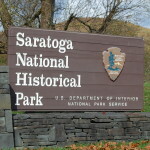 Entrance sign to Saratoga NHS off US Rte 4.